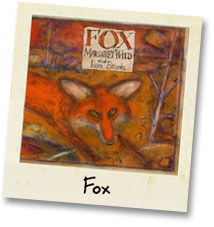 Freya Blackwood is an award-winning illustrator of over 25 children’s books currently living in Orange with her daughter Ivy and their various pets. 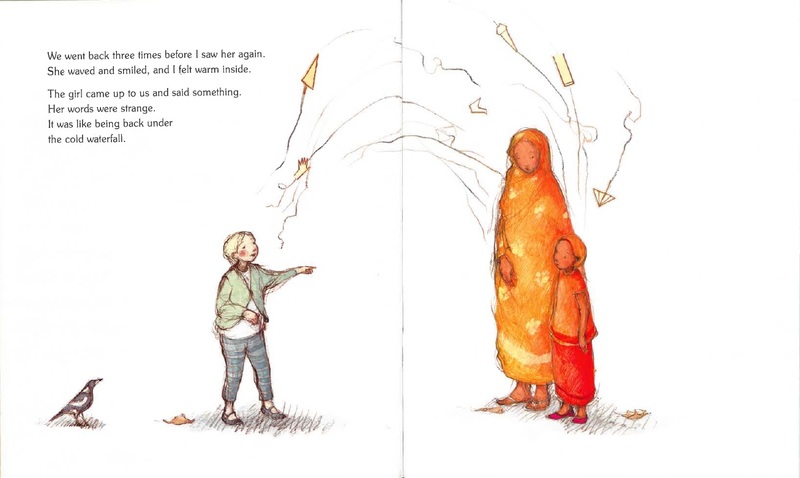 She’s won numerous awards for her work, including the Kate Greenaway Medal. 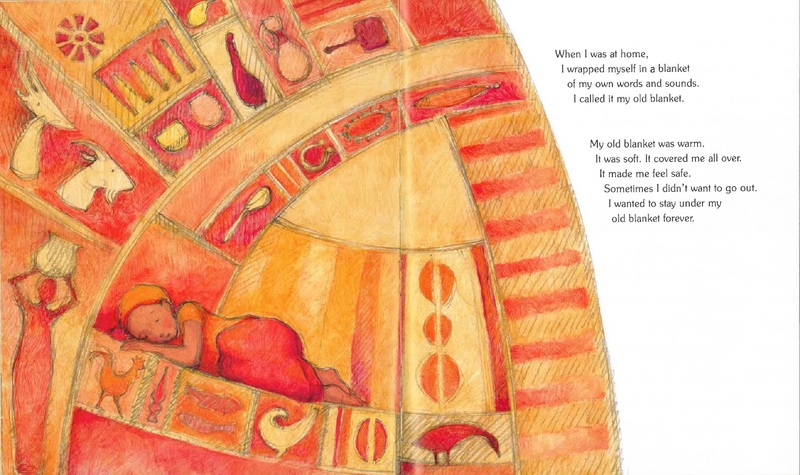 Most recently My Two Blankets won the 2015 CBCA Picture Book of the Year. To celebrate the selection of My Two Blankets as the ‘Read for Australia’ book for National Literacy and Numeracy Week, Freya answered some questions for us about her process as an illustrator, her work space, and her favourite animated film. Q: How did My Two Blankets come to you and what do you consider when deciding to work on a book? A: My Two Blankets was offered to me by my publisher at Little Hare Books. Apparently Irena’s story had taken a while to find its publisher home, but luckily there were some very dedicated fans at Little Hare Books who helped it on its way. I choose stories for different reasons. Sometimes a text feels like it was written just for me, or the story is lovely and fun and I can see that I would enjoy bringing it to life. In the case of My Two Blankets, when I read the story I knew immediately it was important, and though it wasn’t a personal story for me, I wanted to do my best to make it into a book. Q: What was your process in illustrating My Two Blankets? How did you develop the concept and story? A: It did take a while to form a cohesive visual style for the book. Often illustrating a picture book involves a lot of problem solving, and this book even more so. The blanket concept was the most difficult part to solve, followed by the concept of the waterfall. Early on, I tried designing the pages of the book like a patchwork quilt. Eventually I found a suitable solution when I discovered a bag that I’d bought years before in Vietnam that had a lovely embroided patchwork pattern on it, in beautiful rich, warm colours. This became the basis for Cartwheel’s old blanket, with motifs in each segment, and Cartwheel an integral part of her blanket. Q: My Two Blankets has clearly been a success – did you realise that it would be as popular as it has become? A: I didn’t think My Two Blankets would be as successful as it has been. However, it isn’t only a refugee story, but has themes that everyone can relate to on some level, and teaches some very basic and important lessons in being human. I think as I was working on this book I didn’t even see the whole story until afterwards, until it was all together. The words are lovely on their own, and the images are lovely, but the two together tell so much more. Q: How do you like to work: Morning or night? Neat or messy? Fast or slow? A: I love to work at night, but just work school hours at the moment, while my daughter is at school. I’m very messy, and don’t bother cleaning up while I work. So my studio gets tidied whenever I finish a book, which is about every six months! I’m quite a slow thinker too- ideas form slowly, sometimes without me even realising they’re forming. I also work quite slowly, but consistently, and every so often I gather a bit of speed and when I need to get a book finished. Q: Which Australian illustrators are you most excited about? 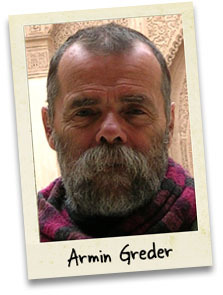 A: I am greatly inspired by Armin Greder. He’d have to be my all time favourite Australian illustrator. Shaun Tan is also hugely inspiring because his work is just so out there and exciting. Q: Which one of the books that you’ve illustrated has had the most impact on you? A: Hmm. 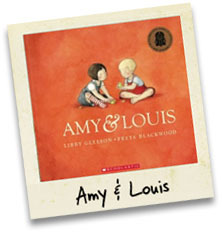 I think it would have to be Amy & Louis, because this was the book that made me understand that some stories are perfect, written specially for you. So when I now read a text I’m comparing it to the reaction I had when I read Amy & Louis. Q: You used to work on the special effects in films – are you still interested in working in that medium? A: I would love to make an animation one day, but I don’t think live action film is my thing. Q: What is your favourite animated film and why? A: Hayao Miyazaki has made some amazing animated films and Spirited Away and My Neighbour Totoro are my favourites. If you haven’t seen them, you must! Q: What is your favourite book on Reading Australia and why? A: Fox, definitely! I love Margaret Wild’s stories and how it feels to read them. They flow beautifully. I love the grittiness of the text and illustrations in this book, as well as the unusual layout. It’s a brilliant way to illustrate trust and betrayal in a friendship. And sometimes it’s just cathartic to read it and cry. To read more about the process in creating My Two Blankets, visit Freya’s blog.